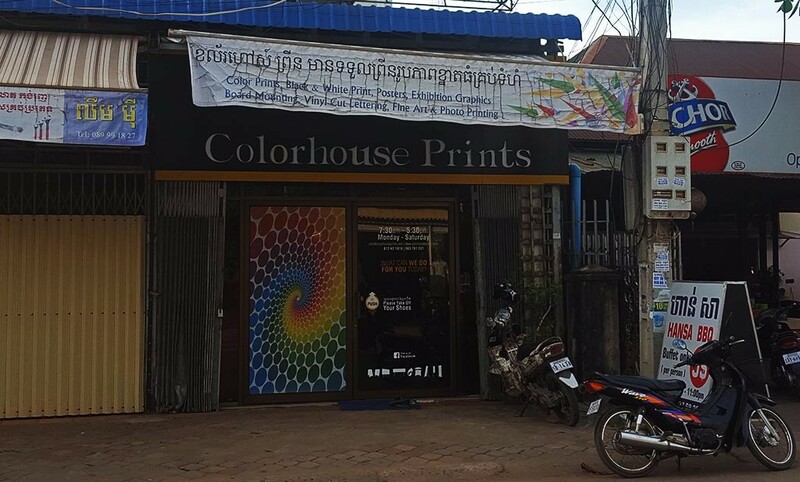 Colorhouse Prints is a large format digital printing and advertising company in Siem Reap. We have been operating here for almost five years. The company is known for its quality printing and customer satisfaction, we pride ourselves with the work we produced. In addition to the printing we can offer an assortment of various display stands. We have produced for many of the large hotels, companies, and organizations here in the town e.g. Angkor National Museum, FCC Angkor Hotel, Borei Angkor Resort and Spa, Angkor Hospital for Children, and many of the five stars hotels.